The five Turbo Rangers use their new powers, weapons and high-tech supercharged vehicles to battle evil at faster speeds than ever before! The beautiful yet vicious space pirate Divatox follows the Power Rangers to Angel Grove to get revenge for ruining her planned wedding to the volcanic island deity Maligore. From her mobile Subcraft armed to the gills with torpedoes and explosives, and crewed by a motley bunch of monsters, she relentlessly pursues our heroes. But the Rangers are not alone in their fight, as they are aided by Dimitria, a wise sage and friend of Zordon; Alpha 6, an advanced robotic sidekick with a streetwise demeanor; the Blue Senturion, a robotic intergalactic traffic cop from the future; and the elusive Phantom Ranger, a one-man army whose very identity is a mystery. An all-new team of Rangers is armed and ready to carry on the Power Rangers legacy! 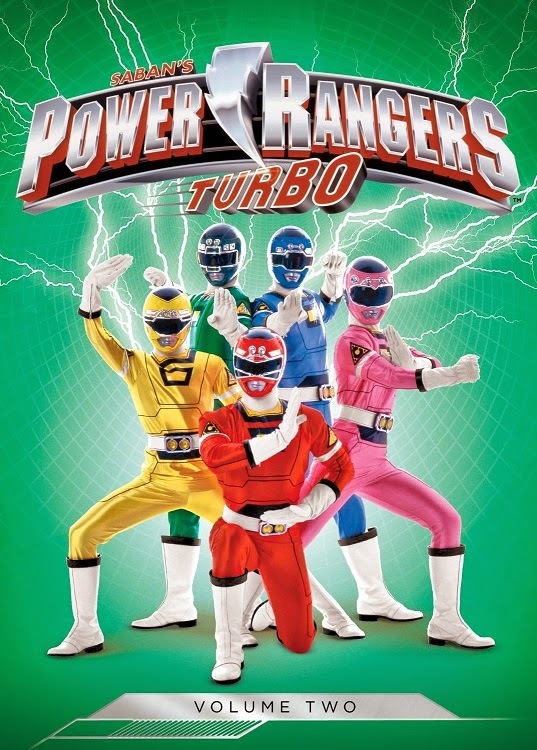 I have reviewed the first volume of Power Rangers Turbo and other Power Rangers DVD in the past and this one is just like all the others. The story is a little cheesy and the acting is ok but I never watched it since when it started in North America I was too old to find the shows good but I know a lot of kids have enjoyed the show. I found the show is ok and I did find myself enjoying this and the other DVDs. If you or you know a child who just loves Power Rangers then I think it is worth the buy. It isn't really expensive. I will be giving this to one of my nephews who just absolutely love Power Rangers so I know he will enjoy this one.